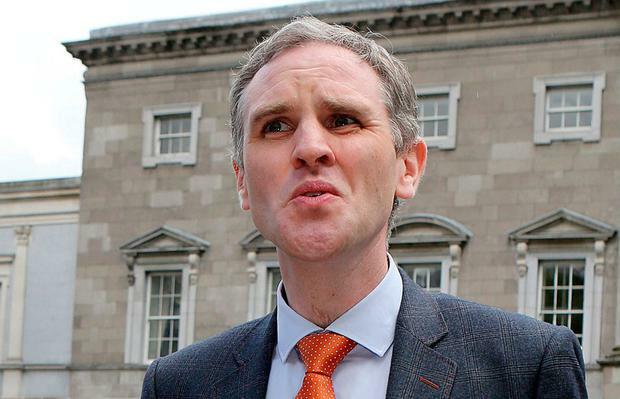 The use of taxpayers' money by the Government to "buy the news" is "not going to happen in this State", a member of the Dáil's powerful Public Accounts Committee (PAC) has warned. Fianna Fáil TD Shane Cassells made the remarks as the PAC considered how it will investigate spending by the Government's controversial Strategic Communications Unit (SCU). Mr Cassells criticised how the SCU's PR campaign to promote 'Project Ireland 2040' was presented in newspapers arguing that many articles weren't clearly marked as advertorials. He said the media is under financial strain and questioned if a situation has arisen where the State can "buy the news". Mr Cassells added: "This is not some kind of Russian creation that we're living in. This is not Trumpland. "This is a republic whereby the independence of media... is fundamental in a democracy." Mr Cassells claimed that Taoiseach Leo Varadkar "flippantly" tried to dismiss concerns over any misuse of public money by the Government in the Dáil and branded this a "God-damned disgrace". Mr Varadkar has asked his department's secretary general Martin Fraser to carry out a review of the SCU. He has insisted none of his officials instructed newspapers to blur the line between advertorials and news amid allegations that regional newspapers were told by a private advertising subcontractor to make paid-for articles look like news reports. At the PAC, Social Democrats TD Catherine Murphy said she wants Mr Fraser and Robert Watt, the secretary general of the Department of Public Expenditure, to face questions about the SCU at the committee. She said that they ultimately have responsibility for the unit as Mr Fraser would have had to present a business case for the SCU to Mr Watt. Other TDs including, Sinn Féin's David Cullinane and Fianna Fáil's Marc MacSharry, wanted Mr Varadkar brought into the PAC to face questions himself. Chairman Séan Fleming said he's not against this happening but pointed out that Mr Varadkar is already scheduled to appear before another committee where he will be quizzed about the SCU at the end of the month. He agreed with Ms Murphy that Mr Fraser and Mr Watt are answerable to the PAC and that the committee's probe of the SCU should begin with them as quickly as possible. He said among questions that arise are value for money and staffing of the SCU.